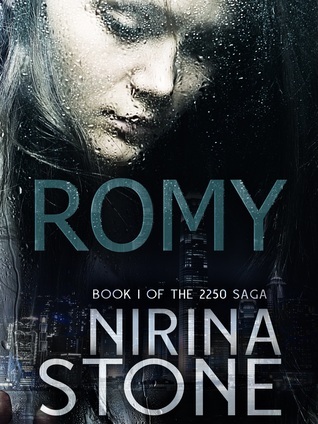 Romy is an interesting YA dystopian novel set in a post-apocalyptic imagining of Earth in 2255. The story is told by protagonist Romy, who is a teenager born into the lower class rank of ‘Citizen’. At the beginning of the novel she ends up in prison – deliberately- and the novel explores her coming-of-age through various trials. There is a lot to like about this book. The writing is clean and engaging, and I enjoyed the world-building of ‘Apax’. Many tropes familiar to sci-fi readers are introduced: the harshly divided class system, exiled rebel group, oppressive media, and systematic brainwashing of the population. This is a great introduction to the dystopian genre for readers who have enjoyed The Hunger Games trilogy, or are just dipping their toes into sci-fi and are keen for something they can still relate to. The down-sides to this novel, were the awkward pacing, inconsistent timelines, and one-dimensional characterization. As the first book of a proposed series I expected more action, development of larger story arcs and introduction of characters begging to have their story told. Throughout the novel there are long sections that are very flat, in-fact there is very little action at all in the book, and the chapters with action often feel muffled due to lack of empathy for the characters. The ending (without spoiling anything) is far too neat, concluding all the main elements in a ‘feel-good’ chapter that left me feeling satisfied that the story was over. Not a good sign for a series! I would definitely recommend this book to teens who are new to sci-fi and dystopia. The story is engaging despite its flaws. For me personally the novel was too basic, and doesn’t add anything new to the dystopian genre I love so much, but I can see it has a role to play in introducing new readers to the world of science fiction.